The Business Expo is a great opportunity to network with the business community and increase awareness of your business. With more than 175 booths to visit, participants will have plenty of businesses to build relationships with while generating future leads. The Business Expo is beneficial to everyone involved, whether it be volunteer, exhibitor or attendee. The Expo leverages branding and marketing opportunities as well as business to business networking. Attendees and exhibitors alike will experience interactivity between the show floor and big screens with a known TV personality conducting interviews with top sponsors. The large scale of the Business Expo can seem intimidating to first time participants, but veteran volunteers Kim Davis (Mosaic) and Debbie Drury (Farmers Insurance) shared some tips from experience they’ve gained over the years. Wear comfortable shoes, you will be doing lots of walking around and standing on your feet as you network. You should plan on being there no less than one hour - the longer the better, as you will be able to identify the businesses that can be most beneficial to you. The Expo offers the opportunity to network with thousands of business people in one location, as well as getting to know more about specific businesses in our community. 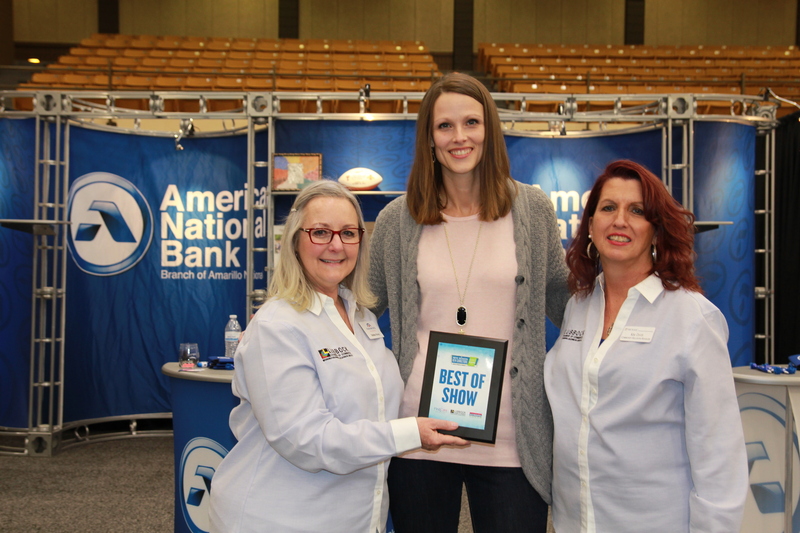 Lubbock National Bank (formerly known as American National Bank) is always a good exhibitor to visit and it is always fun to see the professionalism of Benchmark Business Solutions. There are so many great businesses involved, so don’t be afraid to ask questions and find out more information. Bring lots of business cards and have a plan to target some specific exhibitors that can help grow your business. Best of Show” award at the 2018 Business Expo. The 2019 Business Expo will be held January 24 at the Lubbock Memorial Civic Center . Tickets are $5 in advance and $10 at the door. Chamber members receive a $5 discount.